The PureAudioProject Trio15TB is not your typical speaker. The audio world is full of trendy products, all claiming to be the one true answer to all our sonic woes. Among speaker manufacturers, advances in materials science have enabled the production of transducers that exceed our wildest imaginings only a few years ago. That said, most of these manufacturers are still building speakers in cabinets, and shipping the customer a weighty pair of boxes. There is nothing at all wrong with this approach, and my reference speakers are no exception to this rule, however it’s always refreshing and exciting to see someone turn convention on its head and do things differently. Pure Audio Project (henceforth referred to as PAP in this review) is one of those companies doing their best to upend convention. 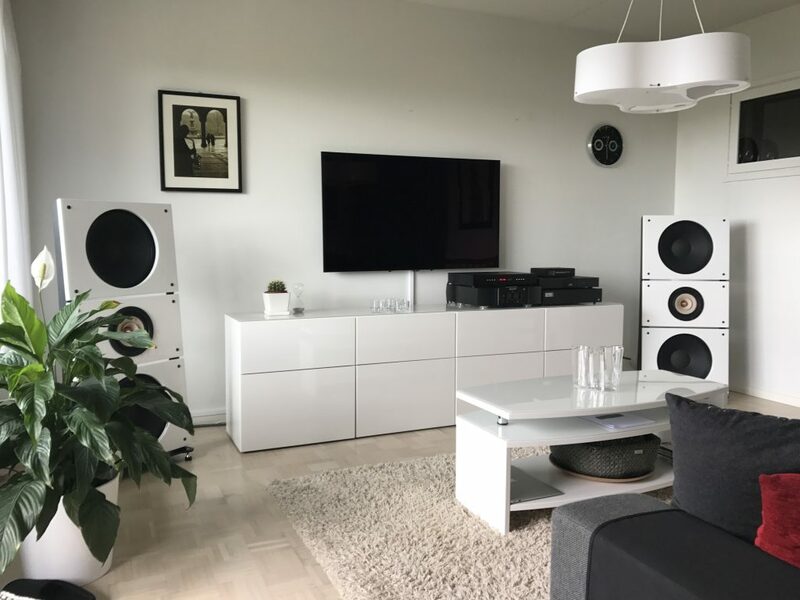 For a start, they only sell open baffle loudspeakers, which means none of their speakers radiate into a sealed or ported enclosure, but rather directly into the room. Second, their speakers are modular and are assembled by the buyer, using nothing more than their fingers and a screwdriver. This enables PAP to sell different variations of their speakers, which currently encompass three parent models, the Trio10, Trio15 and Quintet15. The nomenclature is actually pretty logical. The Trio10 utilizes 3 drivers in a two way design, with two 10” mid/bass drivers, and a separate full-range driver or tweeter. The Trio15 uses two 15” mid-bass drivers and offers a selection of full-range driers and tweeters, from the humble Tang Band W8-1808, to extremely fancy drivers from Voxativ or a custom Horn1 model. The Quintet15 is like the Trio15 in all ways, except it doubles the number of 15” drivers from two to four. I was attracted to these speakers for several reasons, not least of which is a stellar value proposition, with the Trio15TB (Tang Band) selling for an MSRP of $3990 a pair shipped despite being a dual 15” loudspeaker. These speakers are also incredibly efficient, at 96dB 1W/1m, allowing for even the most humble amplifier to drive them with ease. Finally, open baffle loudspeakers are well known to be less sensitive to room acoustics, which make these a very interesting proposition for challenging listening environments like some home theaters. Ze’ev Schlik, the founder of PureAudioProject sent me a pair of Trio15TBs earlier this year which I was able to assemble quite easily. The speakers ship in several boxes, one of which contains the metal frame that the baffles and crossover mount to, one box containing the baffle pieces, and a separate box for the 15” custom drivers and another for the Tang Band main driver and Leonidas crossover, which I’ll get into a little later. PureAudioProject provides detailed assembly instructions on their website. First, the Leonidas crossover is put together. The Leonidas crossover is a modular crossover “breadboard’ manufactured by Mundorf that features a pre-configured circuit path, with gold-plated screws to attach the components and has the speaker wire terminals attached to it. The newest crossover design from PureAudioProject consists of a single coil and a single capacitor, which takes about 5 minutes to put together with a Philips screwdriver. The frame is assembled using simple thumbscrews, and goes together in less than 5 minutes. Once the frame is assembled, 3 included feet can be screwed in and the crossover can be mounted to the base of the frame using four M5 bolts. At this point, the speaker is ready to be put together. The baffles all ship wrapped in foam sheeting and are separated by rigid styrofoam. This packaging is adequate, though I think slotted closed cell foam would be a drastic improvement should PAP decide to take my feedback. The drivers are each attached to their respective baffle sections by using M5 screws and an M5 thumb nut. Once this is done, the assembled baffle sheets are each attached to the frame using four bolts. Each bolt is actually an ingenious combination of an M6 bolt and another thumb nut, which is decoupled from the frame using a decoupling ring which does an excellent job of isolating vibration. Attaching the three drivers to their respective baffle sections, and the baffle sections to the frame takes another 20 minutes per speaker, bringing the total assembly time to about 1 hour, and perhaps slightly longer for those who are not mechanically inclined. The Trio15TBs were initially set up in my living room and placed about 10 feet apart and 4 feet off the wall. After taking some quick measurements with REW, I played with positioning to optimize the frequency response, and ended up with about 4 inches of toe-in. At this stage, I hooked the Trio15TB’s up to my living room amplifier, a lovingly restored vintage Pioneer M-22 from Japan circa 1977 that puts out 30 Watts of class A power per channel. The Pioneer amplifier is connected to a Schiit Saga tube pre-amp that is used for source switching and volume control, and is fed by an Oppo UDP-205. I started off by letting the Trio15TB’s burn-in for about 2 weeks, at the request of Ze’ev, who informed me that sonic performance greatly improves as the drivers suspension breaks in. I used several reference demo tracks, starting with a track I use to verify guitar timbre, Dirty Pool by Melvin Taylor & The Slack Band. This track has a sweeping blues guitar intro that’s really fantastic for seeing how open and large a soundstage speakers can throw. Through the Trio15TB’s, the stage was absolutely massive, sounding very live and open. I followed this up with some of my personal favorites, including Magnetic Lies by Malia and Boris Blank, a great hybrid jazz/electronic tune that has rich female vocals and deep bass. The Trio15’s rendered Malia’s voice wonderfully, and managed a surprising amount of low end thump considering there is no cabinet to reinforce the low end response. Following this track, I listened to Hit the Ground Running by Gordon Goodwin’s Big Phat Band, which is a great funky jazz tune with a solid bass line, and really shows off transient response. The Trio15’s have great tactility, and do the horns and percussion in this track justice. This track also requires response down quite low, and the Trio15TB’s had no trouble here either. Over the course of about a month, I threw a ton of music at the Trio15TB’s, everything from the totally electronic productions of Tycho to the wonderful work of The Piano Guys. Not a single album sounded bad on the Trio15’s, in fact their open sound and effortless presentation were a ton of fun, and I spent a great deal of time exploring music I hadn’t listened to in a long while. I moved the Trio15TB’s into my theater room for evaluation of cinematic content, where they would work alongside two very capable subwoofers from Seaton Sound. Integration into the home theater was relatively simple, requiring about ten minutes to shuffling to place the Trio15’s in the same approximate position as my Legacy Audio Focus SE’s and bypassing Audyssey for the Left and Right channels in my Marantz processor. I found that with the Trio15’s, Audyssey tended to cause more problems than it was worth, as the open baffle design creates an exceptionally realistic soundstage. It would be fascinating to try 3 of these as an LCR configuration, but for this review I left my Legacy Audio Marquis HD in place. Pacific Rim remains one of my favorite demo discs, thanks to its aggressive mix, pervasive and deep LFE and a lot of superfluous effects like robots punching Kaiju. Needless to say, this film is a great workout for any system, and the Trio15 TB’s handled it surprisingly well. While they didn’t have the sheer dynamic punch of the Focus SE’s, they had a holographic soundstage that actually enhanced the sense of surround in the front of the room. I moved on from Pacific Rim to other favorite demo discs including Star Wars: The Force Awakens, where the Millennium Falcon chase through the crashed star destroyer provided a thorough test for my system. In this scene, the Trio15TB’s handled things with aplomb, throwing a wide and deep soundstage that enhanced the sense of surround. Unfortunately, due to the width of the Trio15s, I was unable to position them exactly where I wanted to without impeding my view of the screen which may have slightly impacted performance, so I chose to cut off my screen slightly to get optimal sonic performance. This small trade-off aside, the sound was excellent and really highlighted how good open baffle designs can be in a home theater system. I’ll be publishing a forthcoming add-on to this review where I look at the HEIL AMT version of the Trio15, which may be a better fit for home theater content and will focus more on HT use in that follow-up. With an open baffle like the Trio15, you gain a much more open, spacious soundstage with air and life in the upper registers that you don’t hear as often from conventional speakers with a cabinet. You get to hear piano and guitar reproduced in a way that most speakers can’t hope to match, but you do give up a little in the process. 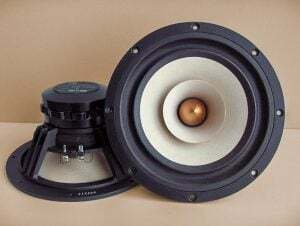 The Trio15’s lack some of the bass impact or slam that you get with a box speaker, and for those who listen almost exclusively to bass rich music like EDM or hip-hop, a subwoofer is almost a necessity. For those who are happy with more moderate bass output in favor of a smooth, silky top end the Trio15 is very hard to beat, punching way above its weight class. Ze’ev and PureAudioProject are clearly onto something with the Trio15. They’ve managed to produce a speaker that is fundamentally enjoyable to listen to and faithful to the music in a way that very few speakers are. They’ve also managed to do it at a price point that is extremely hard to compete with by allowing the owner to build their own speakers. The process of putting together a PureAudioProject speaker might read to some like a chore, but for me it was a wonderfully fun experience, and helped me to feel more invested in the listening experience, knowing that I had taken a collection of parts and ended up with a speaker. While all design credit goes to Ze’ev and his team, putting together the Trio15TB gave me a taste of what it is like to design and build your own speakers, even if for a moment. There is something fundamentally rewarding about listening to a speaker assembled with your own hands, and in the case of the Trio15TB, the results are reward enough. Sonically the Trio15TB represents a fantastic value, and offers a lifelike and natural sound that must be heard to be believed. Open baffle speakers really do sound so different from their boxy cousins that it’s hard to describe in words. After listening to the Trio15, one can’t help but “hear the box” when you go back to other speakers. An openness you never knew you were missing is now gone, and the sound is somehow less lifelike and real that it was with the Trio15TB. For anyone who loves music, the PureAudioProject Trio15TB is a speaker that you simply need to hear. I can’t guarantee that you will want to replace your current speakers once you do, but in my case, I dread the day I need to send these back to Ze’ev, and I’m not sure I will, which I suppose is the highest praise I can offer. Previous Previous post: LG Launches CineBeam 4K Laser PJ in U.S.